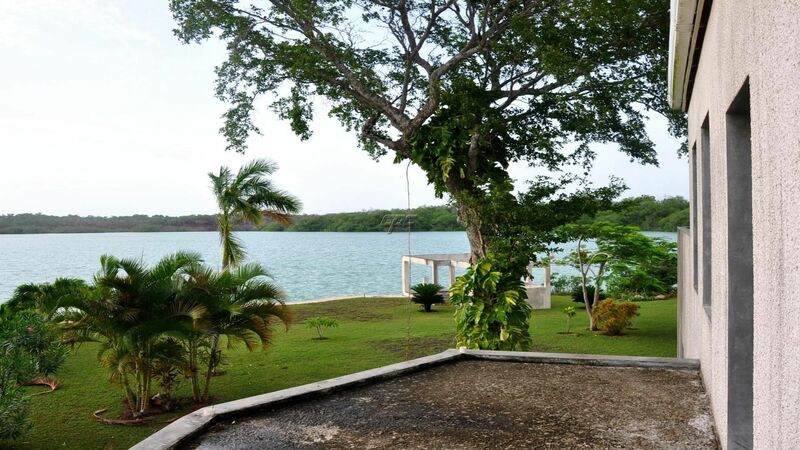 Imagine yourself floating on a cloud over the Placencia Lagoon, the Caribbean Sea at your back, the Maya Mountains to the front...that's a feeling that this home will provide you on a daily basis. 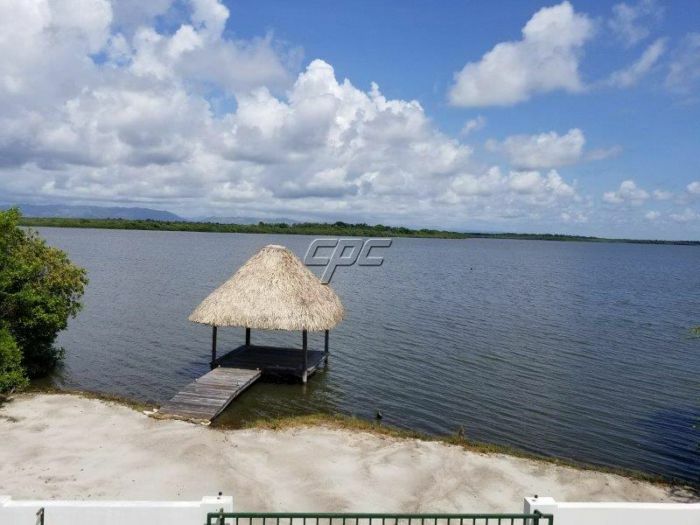 Built just a few feet from the shores of the Placencia Lagoon in the Plantation Subdivision on the Placencia Peninsula, about a hundred yards from Mile Marker 14. 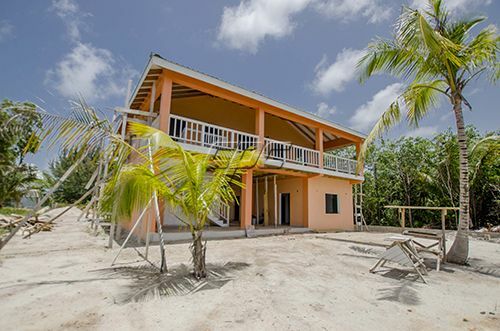 This home offers a SOLID concrete ground floor with a one-car garage, a utility room with washer and dryer connections, as well as a 2500 gallon plastic cistern, and a 300 square foot one-bedroom one-bath apartment with a private entrance. The ground floor also features a "breezeway patio" and an out-of-the-weather stairway up to the second floor. There is also a secure 8 by 12 foot storeroom for your kayaks, fishing gear, bikes, and tools. 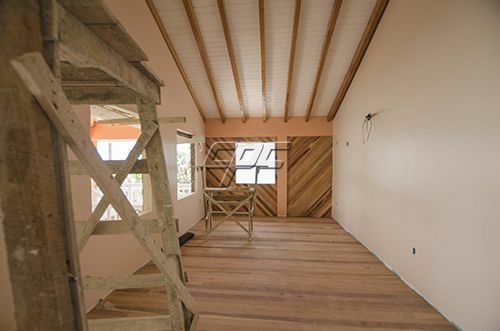 The 1444 square foot second floor provides the main living area which has two bedrooms and two full baths in a split bedroom arrangement. 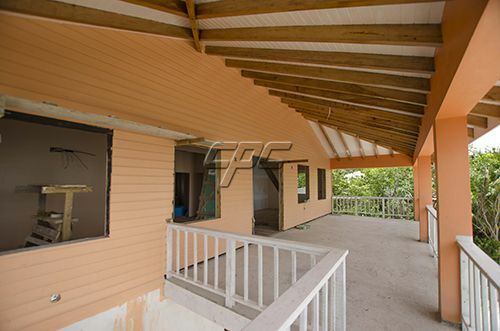 The basic frame of the second floor is a continuation of the SOLID concrete frame from the ground floor. 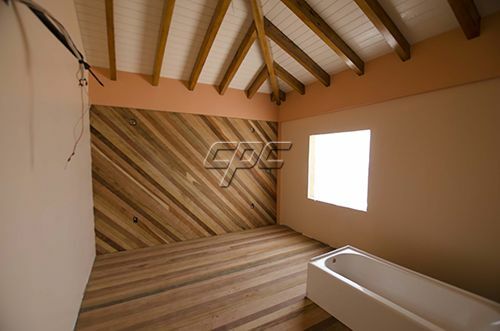 However, the interior and exterior walls as well as the floors are going to be made of native Belize wood stained to perfection. 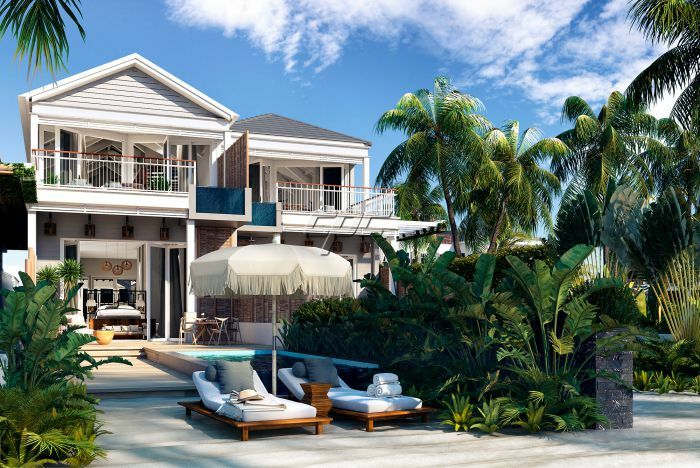 The combination living room, dining room and kitchen will extend across the back side of the house behind a 12 foot wide porch overlooking the lagoon. The wooden wall between the porch and the living area will be filled with windows to maintain the "floating cloud" feeling. 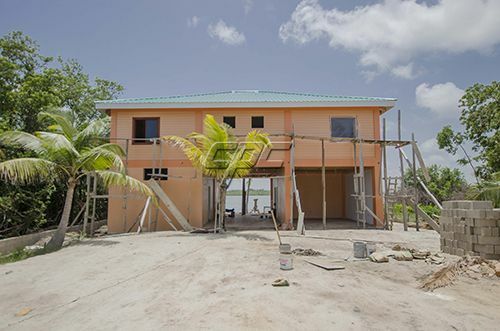 This home is still under construction and is built on top of pilings that are sunk 26 feet down in the ground and rest on a firm bed of clay. 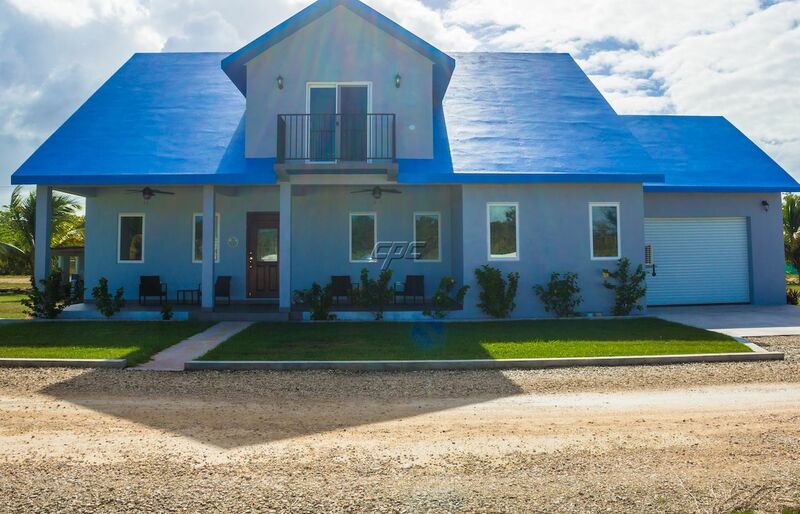 If you're interested in this home you could still pick your colors and control some of the decision making process and take control of the decorating and furnishings process....but you need to call today.